I've been doing these Retail Reviews week after week for 272 weeks! It's time to take a little break. I'm not ending the series, just putting it on pause for a bit. 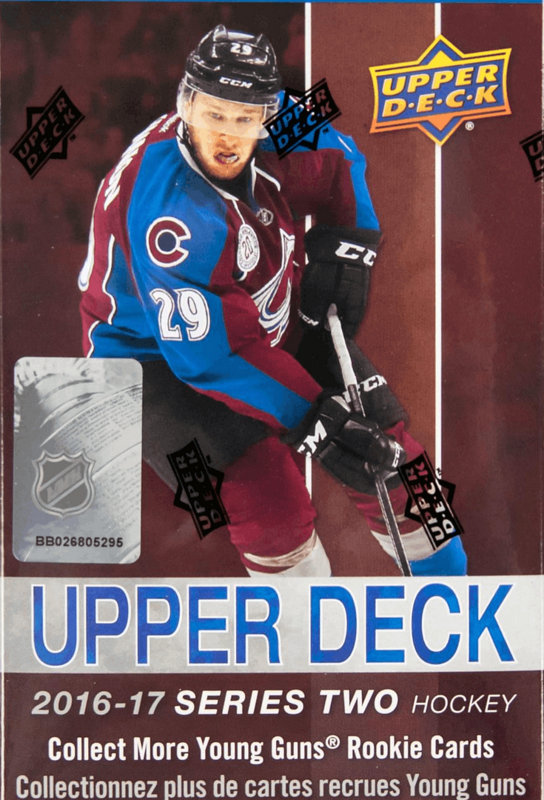 The last blaster before the break is this 16/17 Upper Deck Series 2 blaster. I think it's nice that this product is a bit newer than the stuff I usually open. Though this product is pretty new and has a retail price of about twenty dollars, you can find these on discount at dacardworld.com for just thirteen bucks! I jumped at the chance to get a current year product at such a nice reduction in price. So often for Retail Review I have to go back years and years to get retail boxes at a discount. Speaking of buying older boxes, one of the reasons I'm pausing my Retail Review series is because a lot of the older retail card boxes/blasters are harder to find now. I was afraid this day would come, but there just isn't that much out there to get my hands on affordably. What a great blaster to end on! This blaster had some amazing pulls. It started out pretty good as I hit a rainbow foil OPC rookie card right away. And then it just got better from there. The two Young Guns out of the blaster were awesome, and I even got a canvas version. To top it all off I pulled a nice rookie portrait insert as well. There was just too much to like in this break. Like I said in my video... I should stop Retail Review more often if this is the kind of stuff I get in the end! 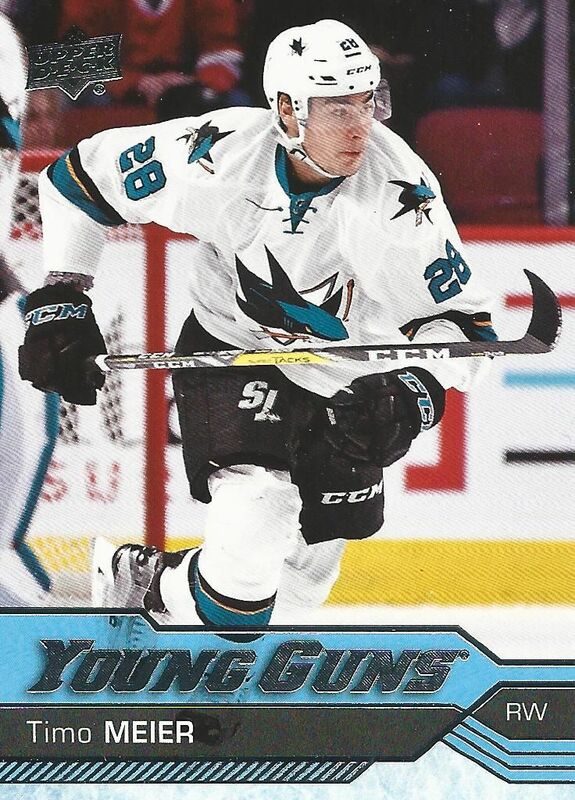 This Young Gun rookie card might not be the most valuable of the lot, but he is the lone San Jose Shark out of my break. I always love pulling Sharks out of my boxes so Timo is a welcome sight for me. 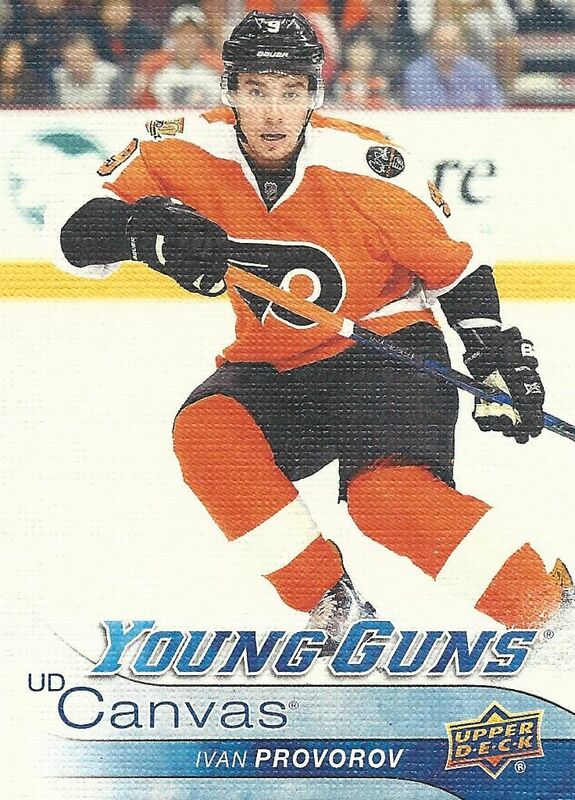 It is so rare for me to get canvas Young Guns! I thought this would be the best card out of my blaster... good thing I was wrong! But this is still an excellent card to pull in any case! Wow, just wow. 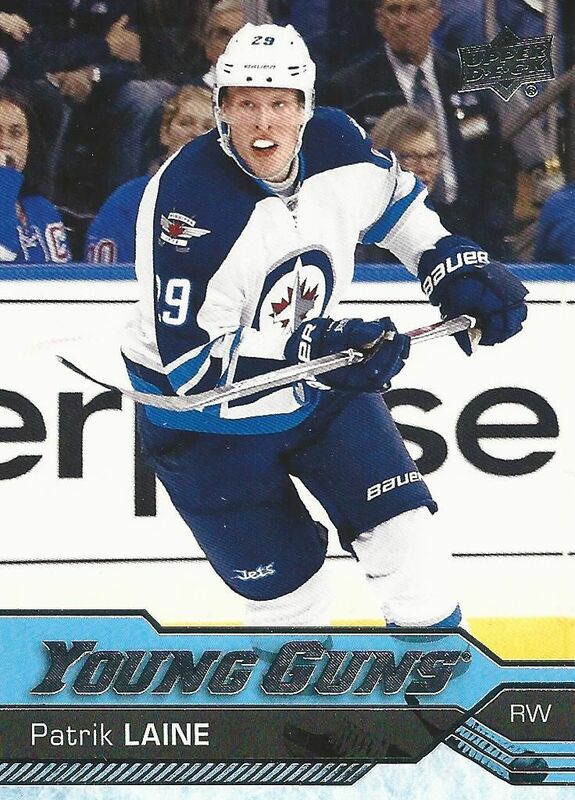 I can't believe I pulled a Laine Young Gun. It was totally and completely unexpected. As it stand now, this card is scorching hot and is worth some serious cheese! This is a great card to pull before my Retail Review hiatus. A current year product at a discounted price with some amazing hits inside? YES PLEASE! This blaster was really awesome and I'm so glad I was able to get it and save it for today's break. Upper Deck Series One and Two are always a good buy, and sometimes you get lucky like I did today and pull some really nice value out of it. That should have been given a score of 11 out of 10. A Laine and a Canvas. That's about as good as it can get! Blue mercury helped me she is so awesome, and her service is excellent she took her time to show me the different scents. I purchased some creed. She is very professional and I was very impressed with her service, great location, great experiences always...pricy, sure but worth it learn more.